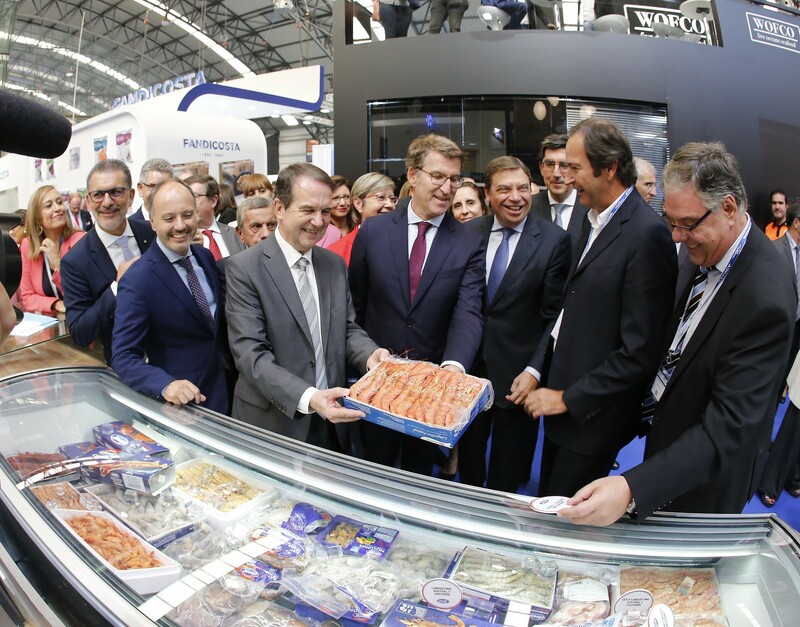 As traditionally occurs at this time of year, Pescapuerta was invited to be present at the 20th edition of the International Frozen Seafood Fair (Conxemar), which was held in Vigo on 2, 3 and 4 October 2018. Pescapuerta’s stand at the 20th edition of the Conxemar fair. Our stand, located in one of the busiest parts of the fair, received a significant number of visits over the three days. 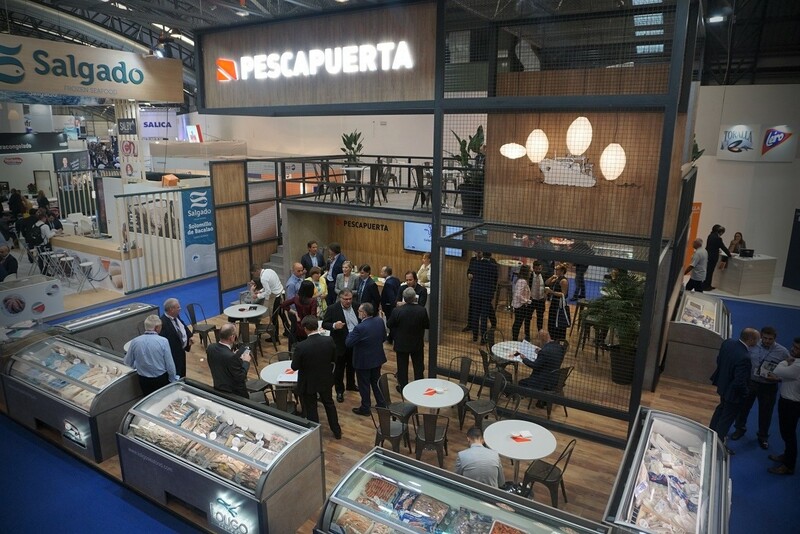 As well as current suppliers and customers, such as our partners at the different origins, we were also visited by people attracted by the products exhibited in freezer cabinets under the brand names Elmar, Loligo Seafood, Fortitude Fishing and Pescapuerta Trade. Those who stopped at our stand also had the opportunity to try different recipes made using our own products, which included Cape hake, Argentine red shrimps, Patagonian squid, monkfish and mussels.